An online tool has been released that helps purchasing departments find responsible apparel brands. The Business to Business (B2B) Brandfinder, released by the Fair Wear Foundation (FWF), allows users to search for a wide range of clothing types, including workwear, protective gear, uniforms and promotional clothing. It has been designed for public and corporate procurement officers, as well as for retailers and wholesalers. More than 80 companies representing 120 brands are members of FWF, an independent, non-profit organisation dedicated to improving conditions for garment workers around the world. 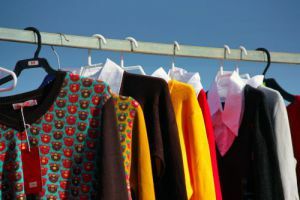 FWF’s unique approach acknowledges that ‘100% Fair’ clothing does not yet exist, and places an emphasis on practical steps brands can take to reduce the risk of problems in factories. 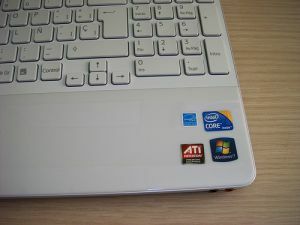 A study to inform the revision of EU Ecolabel and Green Public Procurement (GPP) criteria for the product groups ‘Personal Computers’ and ‘Notebook Computers’ has been launched by the Joint Research Centre's Institute for Prospective Technological Studies (JRC-IPTS). Relevant stakeholders are invited to take part in the revision process. Potential participants must register their interest by Friday 1 February. Participants will be regularly informed about the progress of the study, will have access to preliminary results and draft documents and will be invited to respond to questionnaires and/or participate at stakeholder meetings. The revision is to better take into account the life-cycle approach and scientific evidence base when assigning criteria. In making the revision, environmental, safety, technical and functional aspects will be considered. All background information, as well as announcements of ad-hoc working group meetings will shortly be available on the official project website. For more information, contact JRC-IPTS-COMPUTERS@ec.europa.eu. The Intelligent Energy Europe (IEE) initiative “Euro Topten Max” is now offering free support with tendering to public authorities who wish to buy energy efficient products and/or fuel efficient vehicles. 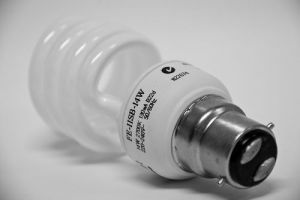 Organisations that are planning to tender for heating or cooling units, ICT equipment, cars, lighting or white goods can visit www.topten.eu/pro to express an interest in receiving advice and to find out how significant life cycle costs can be saved. Topten Pro has been created to help public procurers and other professional buyers to make use of the Topten approach. As well as seeking direct support, procurers can also use the website to benefit from online information in terms of selection criteria, procurement guidelines and ready-to-use tender templates. This guidance is simple to follow and is based on EU public procurement rules. It provides criteria that should be included in tendering in order to buy the most efficient products available. Six product categories are so far covered, with four more to be developed by spring 2013. Euro Topten Max project partners continually review and update the most energy efficient products in Europe, by regularly screening the market. 17 different countries have their own national Topten websites, which can be accessed via the overarching European website. These websites catalogue the most energy efficient appliances currently available in the form of a consumer-oriented online search tool. It is also possible to compare the electricity or fuel costs of current “Topten” appliances and vehicles, and contrast these with lifetime costs of equivalent inefficient models. Chemicals in cleaning products pose harm to human health and the environment. To address this long standing public concern, the Government of Reykjavík (Iceland) launched the Green Cleaning Programme in 2009 to promote the purchasing of eco-friendly chemical cleaners through public procurement. Ecolabeling – now a key prerequisite for public procurement of cleaning services in Reykjavík, did not only facilitate a boom in application for ecolabled products, products that comply with the ISO 14001 management system, are Nordic Swan eco-labeled, or fulfill comparable criteria, but has also led to a substantial increase in the market share for ecolabelled cleaning services from less than 10 to 50 percent. The programme also witnessed considerable success in cutting public costs and chemical consumption. Within two years, the proportion of green cleaning services purchased by the city increased drastically from almost nothing to 74 percent in 2011, cleaning costs were halved, and the level of chemical consumption by the city’s new office building has dropped by 65 percent. Employees also showed greater satisfaction in working in a cleaner and healthier environment. 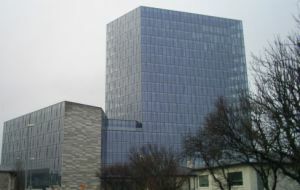 The initial success of the two pilot projects, involving a new city office building (10,218m² floor area) and 63 kindergartens (30,353m² floor area), encourages the start of a wider programme in the City of Reykjavík. It is expected that the city can achieve the goal of 100 percent green cleaning services by 2013. As part of Iceland’s National Action Plan on green procurement and international strategies, the Green Cleaning Programme demonstrates how green public procurement can help promote a resource efficient and low-carbon economy without incurring additional financial or ecological costs. The Baltic GPP project, which aims to increase the level and uptake of GPP in the Baltic Sea Region through capacity building, will pilot early market engagement, the use of Life-Cycle costing, and CO2 assessment within Baltic public authorities in the coming months. Pilot cases will take place in Sweden, Norway and Denmark. Troms County Council in Norway will create the country’s first passive school, and will try out a contracting method with an emphasis on partnering as a means to increase innovation within the construction process. The Procurement Department of the Danish Ministry of Environment intends to reduce the amount of dangerous chemicals within the machinery lubricants they purchase, as well as decrease the number of suppliers used from 600 to 250. 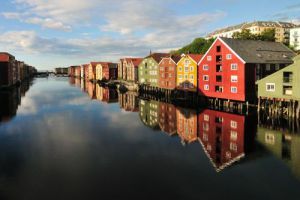 The Norwegian county of Sør Trøndelag is planning to purchase cleaning services specifically for dental clinics, and is aiming to do so in a more environmentally friendly manner. The Swedish organisation SKL Kommentus, which offers support to the public sector in terms of procurement and business activities, will employ energy-efficiency consultation in the area of real estate and help pilot early market engagement, CO2 assessment and facilitating SME participation in GPP. A new project funded by the European Commission Intelligent Energy Initiative aims to help public authorities and fleet operators implement the Clean Vehicles Directive (CVD). Throughout the lifetime of the three-year project, Clean Fleets aims to assist organisations with the procurement of clean and energy efficient vehicles, in the interest of environmental and economic sustainability. It is recognised that municipalities and other public organisations across Europe are at different stages in the implementation of the CVD, which has now been integrated into national law in all EU Member States. The project therefore offers direct support by providing modular training, specific advice, and assistance with tendering to organisations that full under the Directive. The project will provide opportunities to exchange information through an online discussion forum, make useful materials such as case studies, guidance and tools, available and produce a regular newsletter. As part of the launch, Clean Fleets partners are releasing a Call for Interest to inform the direction of the project, based on specific areas of interest and difficulties faced by stakeholders. If you would like to share your experiences, learn more about the project, sign up for news or receive free support, please follow this link. The project not only wishes to assist those organisations who need assistance with complying with the CVD, but also those who wish to go beyond the legislation and explore innovative ways to purchase or lease clean and energy efficient vehicles and fleets. Internal market MEPs have rejected the idea that public procurement contracts should go purely to the lowest cost bidder, believing they should be awarded to the most “advantageous” bidder, assessed also on environmental or social criteria. The comments came as MEPs voted on new EU procurement rules in December 2012. MEPs also improved an optional "innovation" provision, to enable bidders to suggest how best to meet specifications set out in the contract. MEPs wish to see greener and more socially responsible public procurement, whereby organisations take into account environmental considerations, such as sustainability and life cycle costs, or social objectives, such as buying from firms with a particular social profile. "We want a public procurement market in Europe that serves European citizens. We also want to make sure that public money is spent in a more socially responsible way", said Parliament rapporteur Marc Tarabella. His draft report on Public Procurement was approved by 23 votes in favour, 8 against and 7 abstentions. To encourage innovative suggestions, MEPs expanded upon the concept of "innovation partnerships" in which the authority states the minimum requirements that a good or service must fulfil, but leaves it up to the tenderer how best to achieve these goals. MEPs also proposed a "procurement passport" to show that a firm fulfils the criteria without having to send in documentation every time they make a bid. Proposed rules enabling public authorities to subdivide contracts into lots, so as to enable small firms to bid for them, were also simplified. 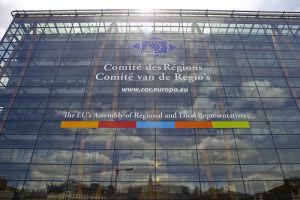 The Committee of the Regions (CoR) has roundly criticised the revised Procurement Directive draft, calling it “difficult to understand and extraordinarily detailed” and opining that new additions will add to the administrative burden on contracting authorities. The CoR further accused the directive of contravening “Member States' right to organise their own administration” and being “in breach of the subsidiarity principle”, arguing that the directive exceeds necessary provisions to achieve EU objectives. Among its chief criticisms, the CoR stated that the proposed regulatory framework for public procurement does not place enough emphasis on achieving value for money in transactions. 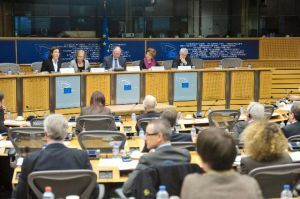 Whilst the CoR welcomes the fact that the proposed directive places greater weight on the possibility to consider environmental and social requirements, the body states that "it seems likely that the rules will not be particularly easy to apply", with specifc reference to life-cycle costing (LCC). In particular the CoR criticises that the currently proposed changes are too rigid and may not be applicable to all product groups. The CoR also argues that directive rules should be made significantly simpler, citing the World Trade Organisation (WTO) Government Procurement Agreement as an effective set of rules that are easily intelligible. As the draft stands, the rules are said to “entail an unacceptable administrative burden for contracting authorities, particularly for small authorities at local and regional level”. The CoR stated, “One way of making the regulatory framework more manageable would have been to have fewer, simpler rules and complement them, if appropriate, with guidelines based on ECJ case law. These could be continually updated with no need to amend the directives”. It was also asserted that difficulty in interpretation could lead to a loss of legal stability in public procurement. A recent EU LIFE+ funded survey of purchasing managers in Italy has identified factors that influence adoption of Green Public Procurement (GPP), and suggests that a broad knowledge of GPP is key to its implementation. 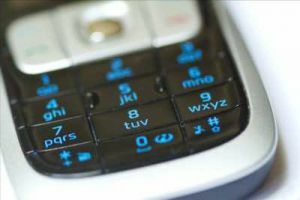 Public authorities, including a total of 156 purchasing or environmental managers, were interviewed by telephone to establish their awareness and use of ‘green initiatives’. Surprisingly, no link was found between public authorities adopting the ISO 14001 certificate, which maps out a framework for an effective environmental management system, and the implementation of GPP - contrasting with the findings of previous studies. This may be a result of the two being seen as separate rather than harmonious measures, meaning resources are allocated to one or the other. The size of the public authority was found to influence the implementation of GPP, as small public organisations may not have specialised personnel or full-time managers dealing with GPP. Support from external experts for purchasing goods and services was also found to encourage the development of GPP practices. The survey indicates that better information and training schemes on the technical, legal and economic aspects of purchasing more environmentally-friendly goods and services is an effective strategy to encourage GPP uptake.